OAKVILLE, ON – October 1, 2014 – Canadians love steak – they consume an average of 44 pounds of beef per person per year.Now, they can have steak sourced from 100 per cent Canadian beef at Tim Hortons no matter when hunger hits. Starting today, Tim Hortons is permanently bringing back its best-selling Steak & Cheese Panini, and offering a new Chipotle-flavoured option. In addition, Tim Hortons is introducing for a limited time a new Grilled Steak & Egg Breakfast Sandwich. The launch of breakfast and lunch steak sandwiches at Tim Hortons further solidifies the company’s leadership position in breakfast and its growing share of the lunch category. 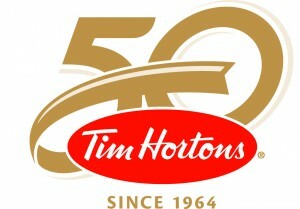 Tim Hortons has grown its lunch traffic over the last six years by five per cent, surpassing the overall Quick Service Restaurant (QSR) segment lunch growth. In addition, steak sandwiches have grown by more than 15 per cent at QSRs over the past year. The Steak & Cheese Panini, Chipotle Steak & Cheese Panini and the new Grilled Steak & Egg Breakfast Sandwich are made fresh to order and grilled to hot, melted perfection. All sandwiches are made with steak sourced from 100 per cent Canadian beef raised by Canadian farmers and ranchers across the country. To celebrate the launch of steak sandwiches at breakfast and lunch, Tim Hortons is asking social media fans to enter to win “Steakholder” meetings ­– where ordinary meetings at the office, at home, or even at the farm, are transformed with a Steak & Cheese Panini for all involved. Starting at 10 a.m. on October 1, 2014, to October 8, 2014, Tim Hortons fans across Canada can tweet at @TimHortons why their colleagues deserve a “Steakholder” lunch meeting, using #TimsSteakholder. On October 10, 2014, 10 randomly selected entrants will win a “100 per cent Canadian Steakholder” lunch meeting delivery, including Steak & Cheese Panini combos for all participants. Social media fans are also encouraged to visit TimsHortons.com/SteakHolder to invite friends to get down to steak business and head to Tim Hortons for their own “Steakholder” meeting.